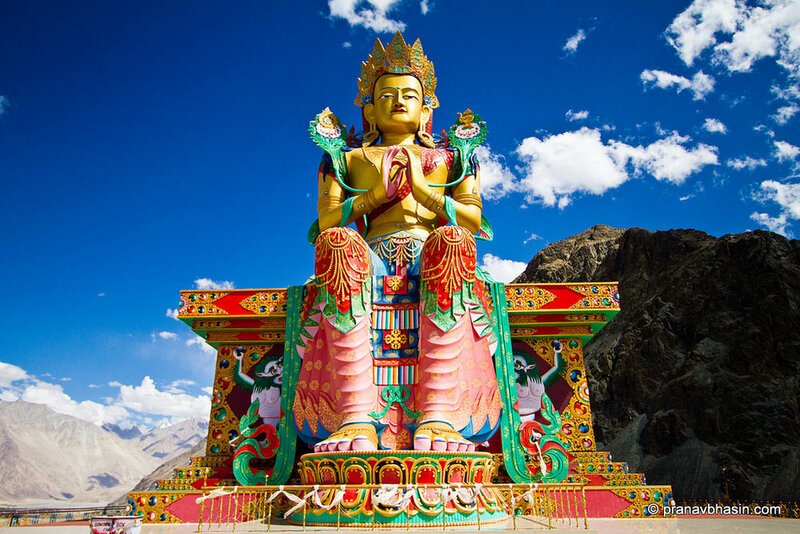 Whether you’re on a Buddhist pilgrimage in Ladakh or are simply a lay visitor wanting to see beautiful cultural and historic sites, Ladakh’s Buddhist monasteries should be high on your sightseeing agenda. Here are some of the must-see monasteries in Ladakh. This is the easiest one to reach while staying in Leh, as it’s just a 20-minute walk above the Leh Palace. It was built in the 15th century and houses an 8-metre tall golden Maitreya statue, the future Buddha. Don’t even think about up to the palace and the gompa until you’ve fully acclimatised to Ladakh’s high altitude. Thikse, east of Leh, looks amazing from the outside, red and white and terraced into a large pyramidal hillside. Inside it’s even better, with many different shrines, open halls and dark rooms, all strikingly different. It’s one of the wealthiest and most important monasteries of Ladakh. The two-story Maitreya statue is simply breathtaking. Alchi Gompa is one of the most important monasteries in Ladakh, for cultural and art historical reasons that become clear once you enter (although first impressions from the outside can be a little disappointing). The 12th century shrines predate most other monasteries of Ladakh. The very detailed murals of Buddhas, Boddhisattvas and other Buddhist-related iconography show very little Chinese or Tibetan influence, unlike almost every other Buddhist site in Ladakh. The style is entirely Indian, particularly Kashmiri, which makes it very unusual. This style disappeared after the Muslim conquests of the subcontinent in the 12th century. The ruined, 400-year-old Shey Palace is the first that you come to when driving east of Leh. Although there’s nothing more than a few houses and shops along the road now, Shey used to be the capital of Ladakh, so this palace was once important. There’s a large, two-story Buddha inside. The views from atop Shey Palace are sweeping and beautiful, though. The Hemis Monastery, 43 kilometres east of Leh, is one of the richest and most important monasteries of Ladakh. It is also one of the few monasteries to hold its annual festival in the summer. Therefore, it’s very popular with tourists. If you’re lucky enough to be here in June/July, it’s worth making the trip out to the Hemis Monastery Festival. You can read more about the Hemis Monastery Festival here, on our blog post about attending the festival. This 17th-century monastery is about 40 kilometres east of Leh. With Thikse, it’s one of the most spectacular monasteries from the outside, terraced like lego blocks over a steep hillside. It contains many valuable Buddhist scriptures decorated with gold and silver. The Diskit Monastery is the oldest and largest in the Nubra Valley, an off-the-beaten-path destination 150 kilometres north of Leh. One of the most notable features is the 32-metre statue of a colourful, golden, Maitreya just down the road, seated on an equally decorative plinth, with hands clasped as in prayer. Around 50 kilometres west of Leh, Likir dates all the way back to the 11th century. In a region of very big Buddha statues, Likir’s is another to add to the list, sparkling gold and seated outside. Likir is on the popular Sham ‘baby trek’ route—a three-day trek that can stand alone, or be done as an acclimatisation warm-up before attempting a longer, more challenging trek in Ladakh. 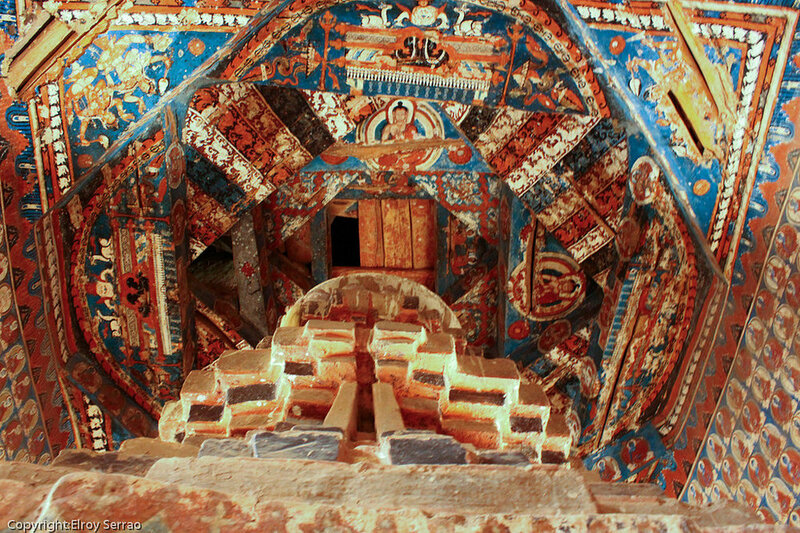 The 14th-century Matho Monastery houses the Matho Monastery Museum, which works with internationally renowned Himalayan art restoration expert Nelly Rieuf to revive and protect Ladakhi culture, especially thangka paintings. The setting of the monastery is also incredible, very high up and with wide sweeping views of the valley below, mountains all around, and other cliff-side monasteries in the distance.